Everything goes into the blender, blend until mixed well. Divide between two glasses Serve immediately! Kale- Kale is beneficial to the digestive and nervous system and is a rich source of various atni-cancer chemicals. Spinach– A super source of antioxidant and cancer antagonists, containing about four times as much beta-carotene and three times more lutein then broccoli. 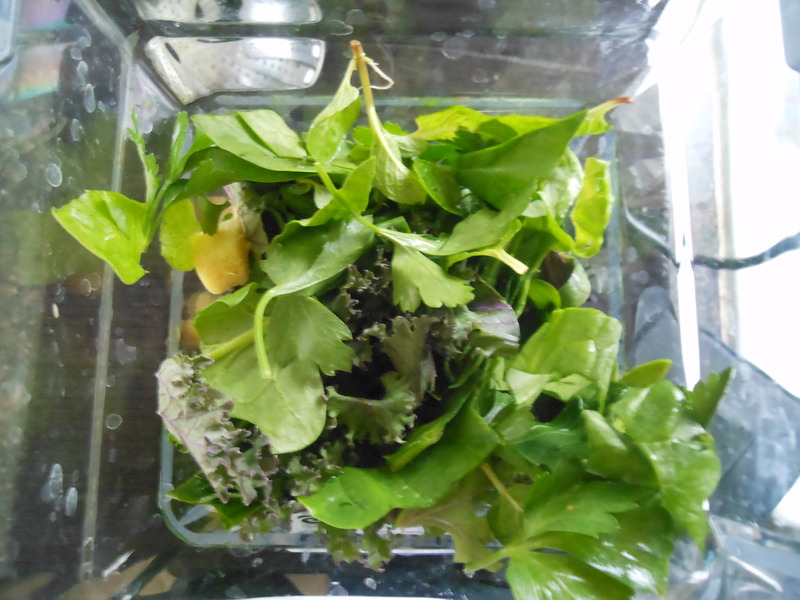 Parsley– A blood builder and purifier. Helps release retained water from the body. Ginger– Ginger is a great tonic for the digestive tract, it stimulates digestion and keeps the intestinal muscles toned. Acts as an anti-inflammatory. 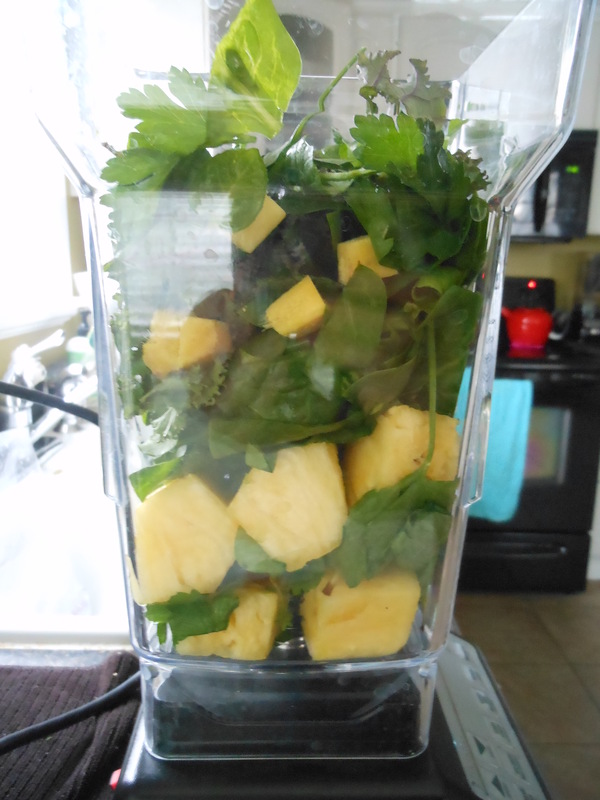 Pineapple– Helps detox the body, an anti-inflammatory. The greatest value lies in its digestive power, which closely resembles that of human gastric juices. Blueberries– Blueberries contain silicon which helps protect the pancreas, also has anti-viral activity. I have fallen in love with smoothies again, I say that because smoothies used to be a HUGE of our diet but they were loosing their appeal after years of having them. Now days we start our days with raw oatmeal (during the week) or hot steel-cut oats, 10 grain and our newest amaranth porridge (on the weekends). But a couple of weeks ago I started to mix up some fun new creations, as well as this week wanting to cleanse our systems and shake things up a bit. This recipe is adapted from whole living’s 28 day challenge. Smoothies are a great way to get an abundance of vitamins, minerals and a big chunk of veggies/fruit servings in one sitting-yay! Enjoy!